A fourth generation stamp collector, he started collecting at age six. A specialist in United States First Issue Revenues, he has exhibited nationally and has received numerous gold medals. His presentation before The Collectors Club of New York received the award for that year’s best U.S. lecture. Professionally he joined Robert A. Siegel Auction Galleries in April of 1976 where he served as an auction describer and Vice President for fifteen years. He then spent two years as an auction describer and Vice President of the New York Office of Ivy, Shreve & Mader. Subsequently he served as a consultant to The Philatelic Foundation and Christie’s New York Stamp department. Upon accepting a full time position with Christie’s, he soon became a Christie’s Assistant Vice President. While at Christie’s he helped secure, describe and market Ryohei Ishikawa’s Collection of “United States Stamps and Covers 1847-1869” which was offered in a full color 365 page hardbound catalogue which remains a valuable reference book on classic United States stamps. When Christie’s re-branded their Stamp and Coin Departments, he became a full Vice President. He became head of Spink America’s Stamp Division where he secured auction properties, wrote auction descriptions and produced their auction catalogues. When Christie’s sold their Spink Divisions to foreign investors, he rejoined The Philatelic Foundation in June 2002 as Senior Expert. 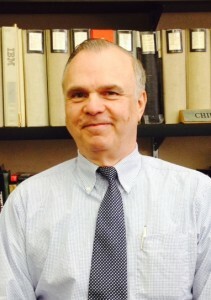 He currently assists in the expertizing process, examining all categories of U.S. stamps and postal history in addition to some foreign categories. He has also written several articles which have appeared in the Philatelic Foundation’s well-respected “Opinion” series of handbooks on the expertizing process.